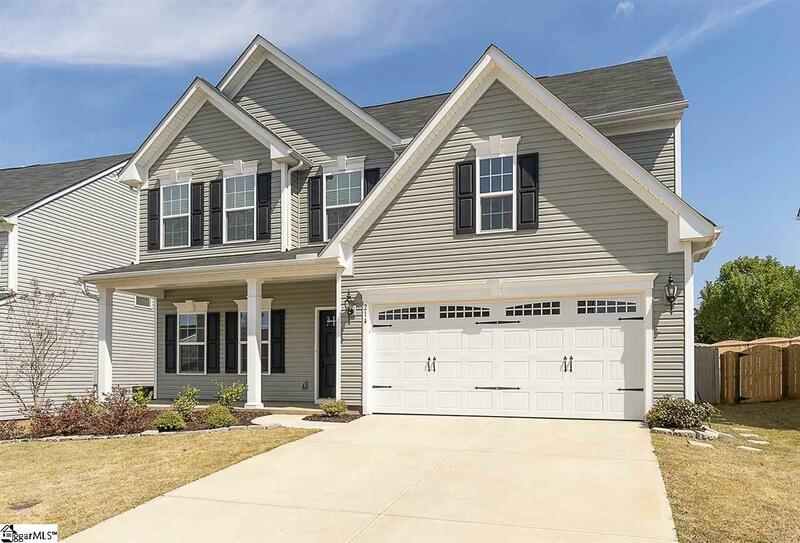 Don't wait to build; this immaculate home is ready for a new owner! Built in 2017, the home is as good as new. Located in Simpsonvilles popular River Shoals subdivision, this home has so much to offer. Walk through the front door to find the perfect spot for an office or library with french doors and windows letting in tons of natural light. Enter the living room to a find gas log fireplace and open floor plan flowing into the kitchen. New carpets on the first floor were just installed this week! Dark wide plank hardwood floors greet you in the entrance and into the kitchen and breakfast area. 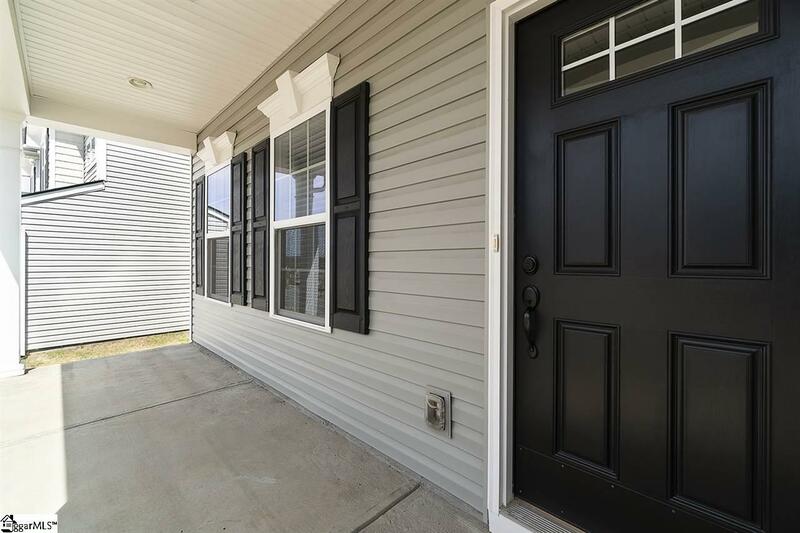 The kitchen is equipped with granite counter tops, stainless steel appliances, a gas stove, tile backsplash, a huge walk in pantry, and an enormous kitchen island perfect for cooking and entertaining. Windows lining the back of the home provide ample light and views of the back yard. 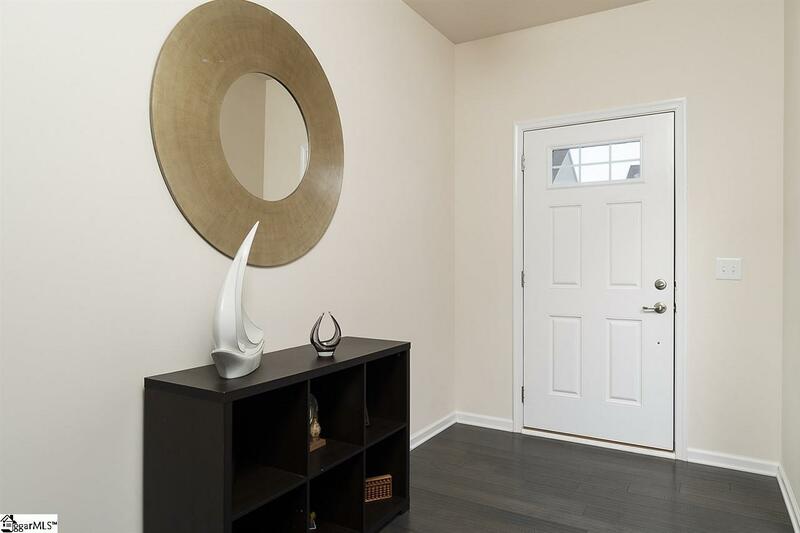 In the master suite located on the first level, you will find tray ceilings, a master bath with a beautiful garden tub and a master closet big enough to sleep in! The private fenced-in backyard features a patio space perfect for grilling and a peach tree that will bloom in the next year. 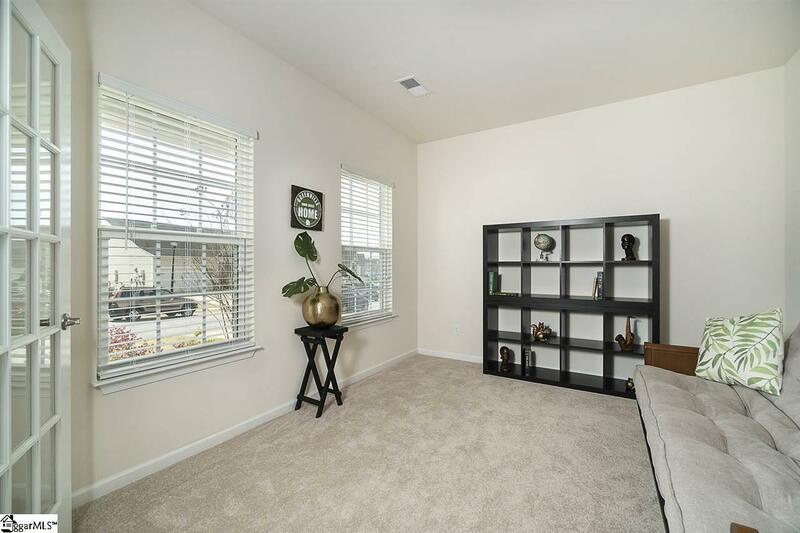 Upstairs, along with two more bedrooms and a full bath, you will find a second living space perfect for a playroom or movie room. There is also a walk in attic space with ample room for storage. Home is equipped with The Alexa Integrated system making it simple and easy to adjust thermostat and lighting. Neighborhood amenities include a beautiful clubhouse with a pool featuring a lazy river with newly updated heat resistant concrete and the neighbors are friendly and always willing to lend a hand. So make this home yours today before someone else does! Listing provided courtesy of Emily Clough of Keller Williams Greenville Cen.